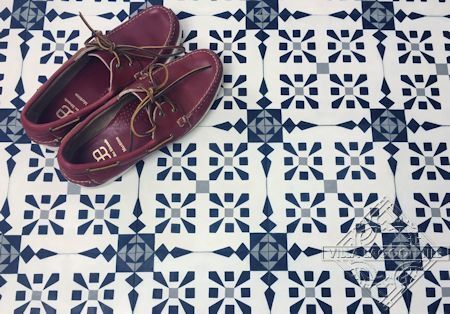 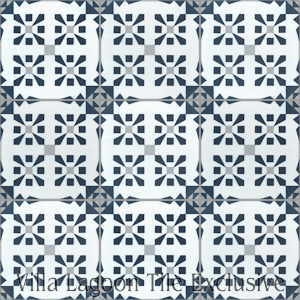 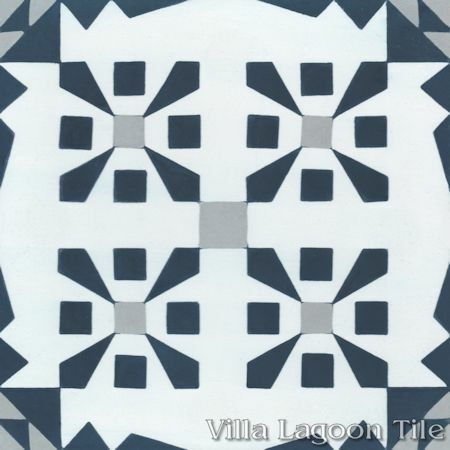 This is a 3-color 8" cement tile, using White, Misty Gray and Navy from the South Beach Palette. 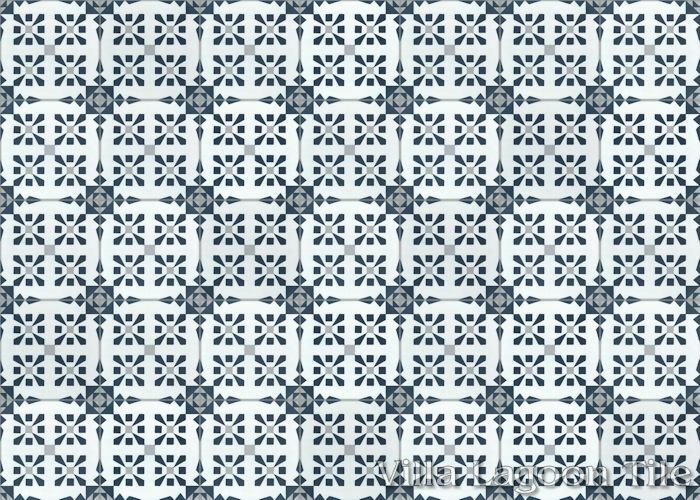 This new, exclusive pattern "Dorottya" is a study in squares. 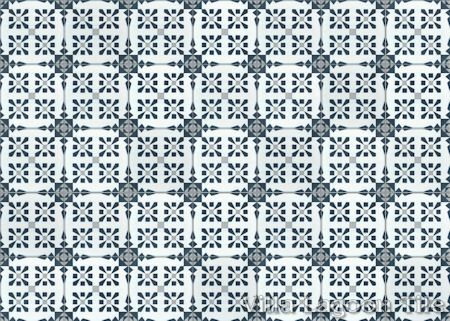 This geometric pattern features squares OF squares, squares IN squares, and a square in the middle. Proof positive that it's hip to be square!